Editor Erin Casper on shaping interviews in "American Promise." From "Sight, Sound & Story" on June 11th, 2016. This week's #WCW at MEWShop is former Sight, Sound and Story panelist and Erin Casper! Erin is an Emmy-nominated documentary editor based in New York. Erin’s recent editing credits include "The Last Season" (2015 Truer Than Fiction Independent Spirit Award nominee); and "American Promise" (POV 2014, Special Jury Prize for Achievement in Filmmaking at the 2013 Sundance Film Festival, Official Selection of the 51st Annual New York Film Festival). Erin also edited "The New Black" (Independent Lens in 2014, GLAAD and NAACP Image Award nominee); "Our School," (winner of the 2011 Sterling Award for Best US Feature Documentary at AFI DOCS); and short nonfiction pieces for NY Times Op-Docs and The Intercept. In 2011, Erin was the inaugural recipient of the prestigious Karen Schmeer Film Editing Fellowship, and has had the distinct honor of attending the Sundance Documentary Edit & Story Lab in 2009, 2011 and 2015. The film in this video, American Promise, is a documentary spanning 13 years from directors Joe Brewster and Michèle Stephenson. The film captures the stories of Brewster and Stephenson's 5-year-old son Idris and his best friend and classmate Seun as these families navigate their way through the rigorous prep-school process. The film is set against the backdrop of a persistent educational achievement gap that dramatically affects African-American boys at all socioeconomic levels across the country. You can follow Erin on Twitter at @erinlcasper. VIDEO - Editor Artist in Residence Jeffrey Wolf, ACE on His Process for Cutting SNL's "White Like Me"
In "White Like Me," from Saturday Night Live sketch in the mid 1980’s,Eddie Murphy goes undercover using makeup to see what it is like to be white. The satirical skit follows Murphy as he goes through a number of everyday experiences as a white man. He is shocked to see the many privileges and benefits he receives from other white New Yorkers – from a cocktail party in a city bus to free money at the bank. ACE is an honorary society of motion picture editors founded in 1950. Film editors are voted into membership on the basis of their professional achievements, their dedication to the education of others and their commitment to the craft of editing. NEW VIDEO!! 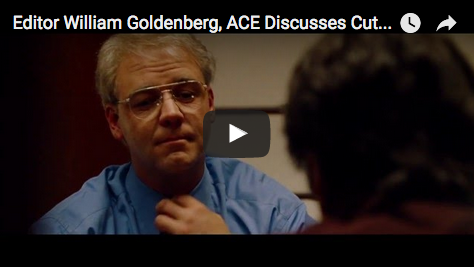 - Editor William Goldenberg, ACE Discusses Cutting Varying Performances in a Scene from "The Insider"
William Goldenberg, ACE, has more than twenty film and television credits since 1992. He won the Academy Award for Film Editing for the film Argo, and has been nominated for "The Insider," "Seabiscuit," "Zero Dark Thirty," and "The Imitation Game." He has also received nominations for nine other editing-related awards. Goldenberg has had an extended, notable collaboration with the director Michael Mann including "Heat," "The Insider," "Ali," and "Miami Vice." Some of his other work includes "Unbroken," "Alive," "Pleasantville," "National Treasure," and "National Treasure: Book of Secrets," "Transformers: Dark of the Moon" and "Transformers: Age of Extinction," and "Gone Baby Gone." "The Insider" is a 1999 American drama film directed by Michael Mann, based on the true story of a 60 Minutes segment about Jeffrey Wigand, a whistleblower in the tobacco industry. The 60 Minutes story originally aired in November 1995 in an altered form because of objections by CBS' then-owner, Laurence Tisch, who also controlled the Lorillard Tobacco Company. The story later aired in a complete and uncensored form on February 4, 1996. MEWTube is home to hundreds of videos about post-production and editing -- not just interviews with post professionals, but also, quick how-to videos for every step of the post process. They're things you find yourself Googling mid-project, short tutorials it never hurts to have on hand. Here's a compilation of our videos tutorials for Final Cut Pro X! For more videos like these, including Premiere Pro and Avid Media Composer tutorials, visit and subscribe to MEWShop on YouTube! MEWTube is home to more than 400 videos from MEWShop's "Sight, Sound & Story" event series; including documentary editors, cinematographers, VFX artists, and exclusive interviews with dozens of top visual storytellers like Anne V. Coates, ACE (Lawrence of Arabia, The Elephant Man), Michael Kahn, ACE (Raiders of the Lost Ark, Jurassic Park), William Goldenberg, ACE (The Imitation Game, Argo), Kelley Dixon, ACE (Breaking Bad), Alan Heim, ACE (All That Jazz, Network), and Susan Morse, ACE (Manhattan), to name just a few. MEWTube also boasts a series of how-to videos, providing concise instructions and troubleshooting for a range of programs and equipment including Avid Media Composer, Final Cut Pro, Premiere Pro, and DSLR cameras. Other exclusive content includes a rich archive of videos from of ACE's EditFest NY event, excerpts from "Inside The Cutting Room With Bobbie O'Steen," a co-produced event series with host and acclaimed author and historian Bobbie O'Steen, and clips from the "Critical Ends" series, featuring short interviews on the editing aesthetics from MEWShop's Artist in Residence program. "We've been honored to have such incredibly talented artists work directly with our students and share their experiences in both a classroom setting and in our larger events as well," says MEWShop owner Josh Apter. "Since 2004 we've been archiving and sharing this content - first on our site, then on Vimeo and now through MEWTube, where we're presenting all of our content in a single collection. It's the largest archive of its kind and a wealth of knowledge for anyone interested in the art and tech of filmmaking." With this channel, MEWShop aims to provide resources and inspiration to fledgling film editors, students, cinema buffs and more. Subscribe to MEWTube at http://www.youtube.com/mewshop for new videos every week! Headquartered in the Flatiron District of New York City, Manhattan Edit Workshop was founded in 2002 with the goal of providing cutting-edge instruction on Apple®, Adobe® and Avid® platforms. Since then, MEWShop has added Digital Cinema Production classes, DaVinci Resolve, Autodesk® Smoke®, Assimilate Scratch training and a two-week documentary film production course to its already impressive curriculum. MEWShop's signature Six-Week Intensive is a jump-start for anyone looking for a career in post-production, while weekend and one-week courses introduce and solidify core editing concepts. Corporate and group training offer a customized curriculum, either in-house or on-site, for professionals eager to learn a new skill or to build on existing ones. 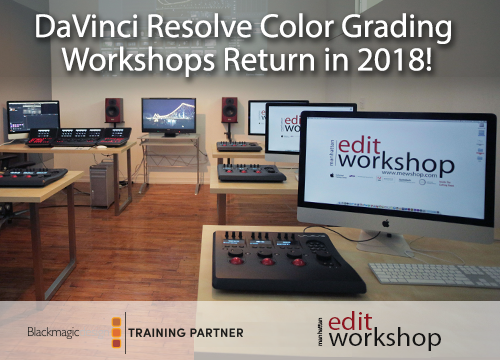 The facility's focus on small workshops, highly skilled and certified faculty, and a results-oriented curriculum have quickly won it the reputation as New York's premier post-production teaching facility. Follow @mewshop on Twitter and Facebook. 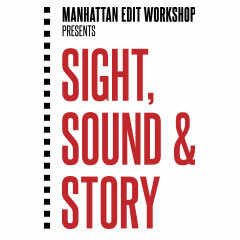 For more information on Manhattan Edit Workshop please visit: www.mewshop.com. Making the Cut with Bobbie O'Steen Course Series - Promo Video from Manhattan Edit Workshop on Vimeo. O’Steen’s next project is an authoritative, media-rich eBook called "Making the Cut at Pixar" about the editor's pioneering role in computer animation. For more information go to www.bobbieosteen.com. Cinematographer Nancy Schreiber, ASC discusses shooting the period piece "Shadow Magic." Recorded at the event "Sight, Sound & Story: The Art of Cinematography" on September 30, 2015. Nancy Schreiber, ASC is an award winning cinematographer based in both New York and Los Angeles. She came up through the ranks as an electrician and gaffer, working in commercials features and documentaries for such directors and producers as Martha Coolidge, Michael Hausman, and Richard Pearce. "Shadow Magic" is a 2000 film directed and co-written by Ann Hu. The film was a US-China co-production starring Xia Yu, Jared Harris and Xing Yufei. The movie was Ann Hu's directorial debut. This video is sponsored by AJA Video Systems. AJA Video Systems is a leading manufacturer of high-quality and cost-effective digital video acquisition, interface, conversion and desktop solutions for professional broadcast, production and post-production. AJA simplifies professional digital video workflows with a line of award-winning products designed and manufactured in Grass Valley, California. Find out more information on all of their products here: https://www.aja.com/. For more information go to: http://www.SightSoundandStory.com. New York, New York – September 29, 2016 – Manhattan Edit Workshop (MEWShop), the east coast's top school in the post-production industry, for cutting edge certified training and for filmmakers learning the art and craft of editing, has just announced weekend dates for the ‘Making the Cut with Bobbie O’Steen’ class series this January 2017. The purpose of these courses is to understand the art and technique of master editors through screening and discussion of their work. How do they decide what shot to use and when exactly to cut in and out of that shot? How do they shape actors’ performances and fit the puzzle pieces together to make a story work? O’Steen will reveal the wisdom and strategies of master editors by taking you through a cut-by-cut analysis of many classic movie scenes, based on interviews from her popular books, panels, and event series. Ultimately, you’ll develop a deeper knowledge of the thinking behind the editing process, empowering you to become a better editor and storyteller yourself.